This was her "something special" in Paris! 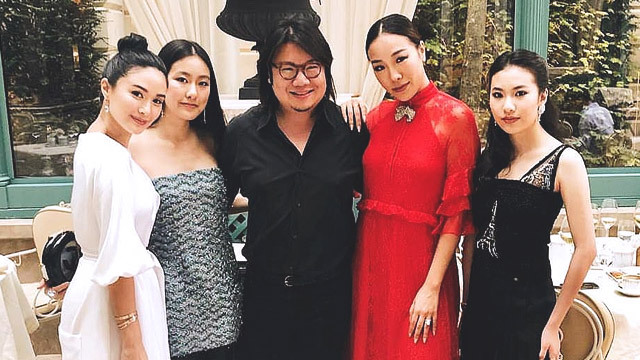 Remember when Heart Evangelista teased that she was shooting something in Paris with Crazy Rich Asians author Kevin Kwan? It turns out it was for Harper's Bazaar! The fashion mag just released a video, These Are The Real 'Crazy Rich Asians'. In it, Kevin spends time with Asian style icons like Heart, Feiping Chang, and Rachel and Michelle Yeoh during Paris Fashion Week. Previously, Heart shared that while she didn't get the part she auditioned for in the movie adaptation of Kevin Kwan's book, she and the author had become close as they worked together: "Hopefully it will not be the last." This story originally appeard on Cosmo.ph. *Minor edits have been made by FemaleNetwork.com editor. Aubrey Miles and Troy Montero are Having a Baby Girl!